This article is about the conflict between the Nationalists and the Communists. For other uses, see Chinese Civil War (disambiguation). The Chinese Civil War was a civil war in China fought between the Kuomintang (KMT)-led government of the Republic of China and the Communist Party of China (CPC) lasting intermittently between 1927 and 1949. Although particular attention is paid to the four years of Chinese Communist Revolution from 1945 to 1949, the war actually started in August 1927, with the White Terror at the end of Generalissimo Chiang Kai-shek's Northern Expedition, and essentially ended when major hostilities between the two sides ceased in 1950. The conflict took place in two stages, the first between 1927 and 1937, and the second from 1946 to 1950; the Second Sino-Japanese War from 1937 to 1945 was an interlude in which the two sides were united against the forces of Japan. The Civil War marked a major turning point in modern Chinese history, with the Communists gaining control of mainland China and establishing the People's Republic of China (PRC) in 1949, forcing the Republic of China (ROC) to retreat to Taiwan. It resulted in a lasting political and military standoff between the two sides of the Taiwan Strait, with the ROC in Taiwan and the PRC in mainland China both officially claiming to be the legitimate government of all China. The war represented an ideological split between the Communist Party of China (CPC) and the Nationalist Party of China (or Kuomintang). Conflict continued intermittently until late 1937, when the two parties came together to form the Second United Front to counter the Imperial Japanese Army threat and to prevent the country from crumbling. Full-scale civil war in China resumed in 1946, a year after the end of hostilities with the Empire of Japan in September 1945. Four years later came the cessation of major military activity, with the newly founded People's Republic of China controlling mainland China (including the island of Hainan), and the Republic of China's jurisdiction restricted to Taiwan, Penghu, Kinmen, Matsu and several outlying islands. As of December 2018[update] no armistice or peace treaty has ever been signed, and the debate continues as to whether the civil war has legally ended. Relations between both sides, officially called the Cross-Strait relations, have been hindered by military threats and political and economic pressure, particularly over Taiwan's political status, with both governments officially adhering to the One-China policy. The PRC still actively claims Taiwan as part of its territory and continues to threaten the ROC with a military invasion if the ROC officially declares independence by changing its name to and gaining international recognition as the "Republic of Taiwan". The ROC, for its part, claims mainland China, and both parties continue the fight over diplomatic recognition. As of 2018[update] the war as such occurs on the political and economic fronts, without actual military action. However, the two separate governments in China have close economic ties. Following the collapse of the Qing dynasty in the aftermath of the Xinhai Revolution, China fell into a brief period of civil war before Yuan Shikai assumed the presidency of the newly formed Republic of China. The administration became known as the Beiyang Government, with its capital in Peking. After the death of Yuan Shikai in 1916, the following years were characterized by the power struggle between different cliques in the former Beiyang Army. 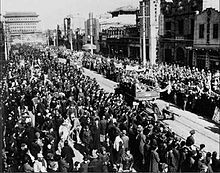 In the meantime, the Kuomintang, led by Sun Yat-sen, created a new government in Guangzhou to resist the rule of Beiyang Government through a series of movements. Sun's efforts to obtain aid from the Western countries were ignored, thus he turned to the Soviet Union in 1921. For political expediency, the Soviet leadership initiated a dual policy of support for both Sun and the newly established Communist Party of China, which would eventually found the People's Republic of China. Thus the struggle for power in China began between the KMT and the CPC. In 1923, a joint statement by Sun and Soviet representative Adolph Joffe in Shanghai pledged Soviet assistance to China's unification. The Sun-Joffe Manifesto was a declaration of cooperation among the Comintern, KMT and CPC. Comintern agent Mikhail Borodin arrived in China in 1923 to aid in the reorganization and consolidation of the KMT along the lines of the Communist Party of the Soviet Union. The CPC joined the KMT to form the First United Front. In 1923, Sun sent Chiang Kai-shek, one of his lieutenants from his Tongmenghui days, for several months of military and political study in the Soviet capital Moscow. 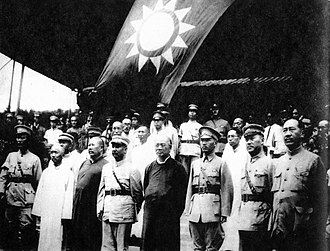 By 1924, Chiang became the head of the Whampoa Military Academy, and rose to prominence as Sun's successor as head of the KMT. The Soviets provided the academy with much educational material, organization and equipment, including munitions. They also provided education in many of the techniques for mass mobilization. With this aid, Sun was able to raise a dedicated "army of the party," with which he hoped to defeat the warlords militarily. CPC members were also present in the academy, and many of them became instructors, including Zhou Enlai, who was made a political instructor. Communist members were allowed to join the KMT on an individual basis. The CPC itself was still small at the time, having a membership of 300 in 1922 and only 1,500 by 1925. As of 1923, the KMT had 50,000 members. However, after Sun died in 1925, the KMT split into left- and right-wing movements. KMT members worried that the Soviets were trying to destroy the KMT from inside using the CPC. The CPC then began movements in opposition of the Northern Expedition, passing a resolution against it at a party meeting. 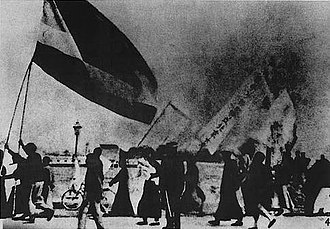 Then, in March 1927, the KMT held its second party meeting where the Soviets helped pass resolutions against the Expedition and curbing Chiang's power. Soon, the KMT would be clearly divided. Throughout this time the Soviet Union had a large impact on the Communist Party of China. They sent money and spies to support the Chinese Communist Party. Without their support the communist party would have failed. There are documents showing of other communist parties in China at the time, one with as many as 10,000 members, but they all failed without support from the Soviet Union. In early 1927, the KMT-CPC rivalry led to a split in the revolutionary ranks. The CPC and the left wing of the KMT had decided to move the seat of the KMT government from Guangzhou to Wuhan, where communist influence was strong. However, Chiang and Li Zongren, whose armies defeated warlord Sun Chuanfang, moved eastward toward Jiangxi. 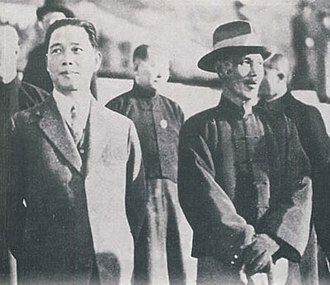 The leftists rejected Chiang's demand to eliminate Communist influence within KMT and Chiang denounced them for betraying Sun Yat-sen's Three Principles of the People by taking orders from the Soviet Union. According to Mao Zedong, Chiang's tolerance of the CPC in the KMT camp decreased as his power increased. 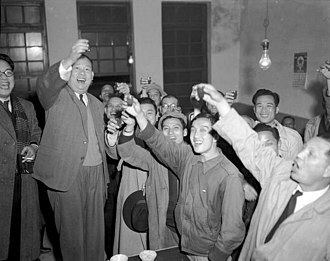 On April 7, Chiang and several other KMT leaders held a meeting, during which they proposed that Communist activities were socially and economically disruptive and had to be undone for the Nationalist revolution to proceed. On April 12, in Shanghai, many Communist members in the KMT were purged through hundreds of arrests and executions on the orders of General Bai Chongxi. The CPC referred to this as the April 12 Incident or Shanghai Massacre. This incident widened the rift between Chiang and Wang Jingwei, another warlord who controlled the city of Wuhan. Eventually, the left wing of the KMT also expelled CPC members from the Wuhan government, which in turn was toppled by Chiang Kai-shek. The KMT resumed its campaign against warlords and captured Beijing in June 1928. Soon, most of eastern China was under the control of the Nanjing central government, which received prompt international recognition as the sole legitimate government of China. The KMT government announced, in conformity with Sun Yat-sen, the formula for the three stages of revolution: military unification, political tutelage, and constitutional democracy. 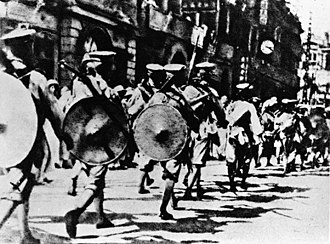 On 1 August 1927, the Communist Party launched an uprising in Nanchang against the Nationalist government in Wuhan. This conflict led to the creation of the Red Army. On August 4, the main forces of the Red Army left Nanchang and headed southwards for an assault on Guangdong. Nationalist forces quickly reoccupied Nanchang while the remaining members of the CPC in Nanchang went into hiding. A CPC meeting on August 7 confirmed the objective of the party was to seize the political power by force, but the CPC was quickly suppressed the next day on August 8 by the Nationalist government in Wuhan led by Wang Jingwei. 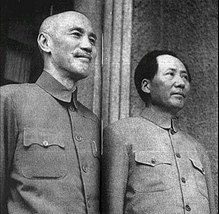 On August 14, Chiang Kai-shek announced his temporary retirement, as the Wuhan faction and Nanjing faction of the Kuomintang were allied once again with common goal of suppressing the Communist Party after the earlier split. 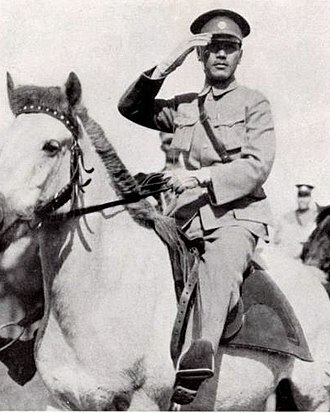 Generalissimo Chiang Kai-shek, Commander-in-Chief of the National Revolutionary Army, emerged from the Northern Expedition as the leader of the Republic of China. Attempts were later made by the CPC to take the cities of Changsha, Shantou and Guangzhou. The Red Army consisting of mutinous former National Revolutionary Army (NRA) soldiers as well as armed peasants established control over several areas in southern China. KMT forces continued to attempt to suppress the rebellions. Then, in September, Wang Jingwei was forced out of Wuhan. September also saw an unsuccessful armed rural insurrection, known as the Autumn Harvest Uprising, led by Mao Zedong. Borodin then returned to the USSR in October via Mongolia. In November, Chiang Kai-shek went to Shanghai and invited Wang to join him. On December 11, the CPC started the Guangzhou Uprising, establishing a soviet there the next day, but lost the city by December 13 to a counter-attack under the orders of General Zhang Fakui. On December 16, Wang Jingwei fled to France. There were now three capitals in China: the internationally recognized republic capital in Beijing, the CPC and left-wing KMT at Wuhan and the right-wing KMT regime at Nanjing, which would remain the KMT capital for the next decade. This marked the beginning of a ten-year armed struggle, known in mainland China as the "Ten-Year Civil War" (十年内战) which ended with the Xi'an Incident when Chiang Kai-shek was forced to form the Second United Front against invading forces from Japan. In 1930 the Central Plains War broke out as an internal conflict of the KMT. It was launched by Feng Yuxiang, Yan Xishan and Wang Jingwei. The attention was turned to root out remaining pockets of Communist activity in a series of five encirclement campaigns. The first and second campaigns failed and the third was aborted due to the Mukden Incident. 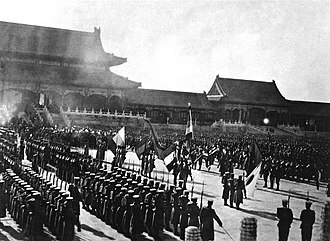 The fourth campaign (1932–1933) achieved some early successes, but Chiang's armies were badly mauled when they tried to penetrate into the heart of Mao's Soviet Chinese Republic. During these campaigns, KMT columns struck swiftly into Communist areas, but were easily engulfed by the vast countryside and were not able to consolidate their foothold. Finally, in late 1934, Chiang launched a fifth campaign that involved the systematic encirclement of the Jiangxi Soviet region with fortified blockhouses. Unlike previous campaigns in which they penetrated deeply in a single strike, this time the KMT troops patiently built blockhouses, each separated by about five miles, to surround the Communist areas and cut off their supplies and food sources. In October 1934 the CPC took advantage of gaps in the ring of blockhouses (manned by the forces of a warlord ally of Chiang Kai-shek's, rather than regular KMT troops) and broke out of the encirclement. The warlord armies were reluctant to challenge Communist forces for fear of losing their own men and did not pursue the CPC with much fervor. In addition, the main KMT forces were preoccupied with annihilating Zhang Guotao's army, which was much larger than Mao's. The massive military retreat of Communist forces lasted a year and covered what Mao estimated as 12,500 km (25,000 Li); it became known as the Long March. The Long March was a military retreat taken on by the Communist Party of China, led by Mao Zedong to evade the pursuit or attack of the Kuomintang army. 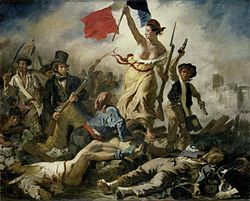 It consisted of a series of marches, during which numerous Communist armies in the south escaped to the north and west. Over the course of the march from Jiangxi the First Front Army, led by an inexperienced military commission, was on the brink of annihilation by Chiang Kai Shek's troops as their stronghold was in Jiangxi. The Communists, under the command of Mao Zedong and Zhou Enlai, "escaped in a circling retreat to the west and north, which reportedly traversed over 9,000 kilometers over 370 days". The route passed through some of the most difficult terrain of western China by traveling west, and then northwards towards Shaanxi. "In November 1935, shortly after settling in northern Shaanxi, Mao officially took over Zhou Enlai's leading position in the Red Army. Following a major reshuffling of official roles, Mao became the chairman of the Military Commission, with Zhou and Deng Xiaoping as vice-chairmen." This marked Mao's position as the pre-eminent leader of the Party, with Zhou in second position to him. The march ended when the CPC reached the interior of Shaanxi. Zhang Guotao's army, which took a different route through northwest China, was largely destroyed by the forces of Chiang Kai-shek and his Chinese Muslim allies, the Ma clique. Along the way, the Communist army confiscated property and weapons from local warlords and landlords, while recruiting peasants and the poor, solidifying its appeal to the masses. Of the 90,000–100,000 people who began the Long March from the Soviet Chinese Republic, only around 7,000–8,000 made it to Shaanxi. The remnants of Zhang's forces eventually joined Mao in Shaanxi, but with his army destroyed, Zhang, even as a founding member of the CPC, was never able to challenge Mao's authority. Essentially, the great retreat made Mao the undisputed leader of the Communist Party of China. The Kuomintang used Khampa troops—who were former bandits—to battle the Communist Red Army as it advanced and to undermine local warlords who often refused to fight Communist forces to conserve their own strength. The KMT enlisted 300 "Khampa bandits" into its Consolatory Commission military in Sichuan, where they were part of the effort of the central government to penetrate and destabilize local Han warlords such as Liu Wenhui. The government was seeking to exert full control over frontier areas against the warlords. Liu had refused to battle the Communists in order to conserve his army. The Consolatory Commission forces were used to battle the Red Army, but they were defeated when their religious leader was captured by the Communists. In 1936, Zhou Enlai and Zhang Xueliang grew closer, with Zhang even suggesting that he join the CPC. However, this was turned down by the Comintern in the USSR. Later on, Zhou persuaded Zhang and Yang Hucheng, another warlord, to instigate the Xi'an Incident. Chiang was placed under house arrest and forced to stop his attacks on the Red Army, instead focusing on the Japanese threat. The situation in China in 1929: After the Northern Expedition, the KMT had direct control over east and central China, while the rest of China proper as well as Manchuria was under the control of warlords loyal to the Nationalist government. Map showing the communist-controlled Soviet Zones of China during and after the encirclement campaigns. Route(s) taken by Communist forces during the Long March. 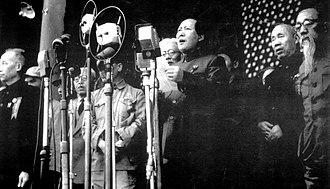 A Communist leader addressing survivors of the Long March. On 12 December 1936, the disgruntled Zhang Xueliang and Yang Hucheng conspired to kidnap Chiang and force him into a truce with the CPC. 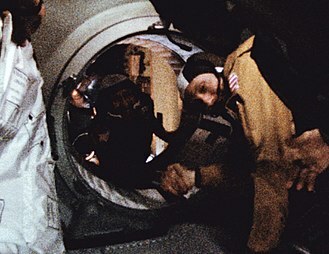 The incident became known as the Xi'an Incident. Both parties suspended fighting to form a Second United Front to focus their energies and fighting against the Japanese. In 1937 Japan launched its full-scale invasion of China and its well-equipped troops overran KMT defenders in northern and coastal China. The alliance of CPC and KMT was in name only. Unlike the KMT forces, CPC troops shunned conventional warfare and instead engaged in guerrilla warfare against the Japanese. The level of actual cooperation and coordination between the CPC and KMT during World War II was at best minimal. In the midst of the Second United Front, the CPC and the KMT were still vying for territorial advantage in "Free China" (i.e., areas not occupied by the Japanese or ruled by Japanese puppet governments such as Manchukuo and the Reorganized National Government of China). The situation came to a head in late 1940 and early 1941 when clashes between Communist and KMT forces intensified. Chiang demanded in December 1940 that the CPC's New Fourth Army evacuate Anhui and Jiangsu Provinces, due to its provocation and harassment of KMT forces in this area. Under intense pressure, the New Fourth Army commanders complied. The following year they were ambushed by KMT forces during their evacuation, which led to several thousand deaths. It also ended the Second United Front, which had been formed earlier to fight the Japanese. As clashes between the CPC and KMT intensified, countries such as the United States and the Soviet Union attempted to prevent a disastrous civil war. After the New Fourth Army incident, US President Franklin D. Roosevelt sent special envoy Lauchlin Currie to talk with Chiang Kai-shek and KMT party leaders to express their concern regarding the hostility between the two parties, with Currie stating that the only ones to benefit from a civil war would be the Japanese. The Soviet Union, allied more closely with the CPC, sent an imperative telegram to Mao in 1941, warning that civil war would also make the situation easier for the Japanese military. Due to the international community's efforts, there was a temporary and superficial peace. Chiang attacked the CPC in 1943 with the propaganda piece China's Destiny, which questioned the CPC's power after the war, while the CPC strongly opposed Chiang's leadership and referred to his regime as fascist in an attempt to generate a negative public image. Both leaders knew that a deadly battle had begun between themselves. In general, developments in the Second Sino-Japanese War were to the advantage of the CPC, as its guerrilla war tactics had won them popular support within the Japanese-occupied areas. However, the KMT had to defend the country against the main Japanese campaigns, since it was the legal Chinese government, and this proved costly to Chiang Kai-shek and his troops. Japan launched its last major offensive against the KMT, Operation Ichi-Go, in 1944; this resulted in the severe weakening of Chiang's forces. The CPC also suffered fewer losses through its guerrilla tactics. 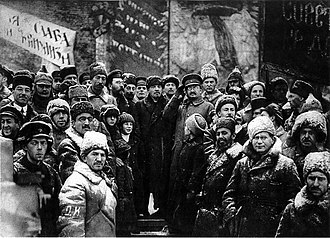 By the end of the war, the Red Army had grown to more than 1.3 million members, with a separate militia of over 2.6 million members. About one hundred million people lived in CPC-controlled zones. Under the terms of the Japanese unconditional surrender dictated by the United States, Japanese troops were ordered to surrender to KMT troops and not to the CPC, which was present in some of the occupied areas. In Manchuria, however, where the KMT had no forces, the Japanese surrendered to the Soviet Union. 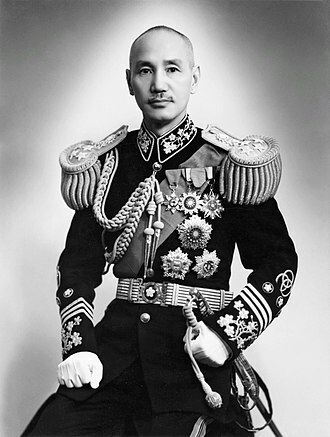 Chiang Kai-shek ordered the Japanese troops to remain at their post to receive the Kuomintang and not surrender their arms to the Communists. The first post-war peace negotiation was attended by both Chiang Kai-shek and Mao Zedong in Chongqing from 28 August 1945, and concluded on 10 October 1945 with the signing of the Double Tenth Agreement. Both sides stressed the importance of a peaceful reconstruction, but the conference did not produce any concrete results. Battles between the two sides continued even as peace negotiations were in progress, until the agreement was reached in January 1946. However, large campaigns and full-scale confrontations between the CPC and Chiang's troops were temporarily avoided. In the last month of World War II in East Asia, Soviet forces launched the huge Manchurian Strategic Offensive Operation to attack the Japanese 2 million strong Kwantung Army in Manchuria and along the Chinese-Mongolian border. This operation destroyed the fighting capability of Japan's Kwantung Army in just 3 weeks and left the USSR occupying all of Manchuria by the end of the war in a total power vacuum of local Chinese forces. Consequently, the 700,000 Japanese troops stationed in the region surrendered. Later in the year Chiang Kai-shek realized that he lacked the resources to prevent a CPC takeover of Manchuria following the scheduled Soviet departure. He therefore made a deal with the Russians to delay their withdrawal until he had moved enough of his best-trained men and modern material into the region; however, the Russians refused permission for the Nationalist troops to traverse its territory. KMT troops were then airlifted by the US to occupy key cities in North China, while the countryside was already dominated by the CPC. On 15 November 1945, an offensive began with the intent of preventing the CPC from strengthening its already strong base. The Soviets spent the extra time systematically dismantling the extensive Manchurian industrial base (worth up to $2 billion) and shipping it back to their war-ravaged country. Yang Kuisong, a Chinese historian, said that in 1945–46, during the Soviet Red Army Manchurian campaign, Soviet leader Joseph Stalin commanded Marshal Rodion Malinovsky to give Mao Zedong most Imperial Japanese Army weapons that were captured. Chiang Kai-shek's forces pushed as far as Chinchow (Jinzhou) by 26 November 1945, meeting with little resistance. This was followed by a Communist offensive on the Shandong Peninsula that was largely successful, as all of the peninsula, except what was controlled by the US, fell to the Communists. The truce fell apart in June 1946 when full-scale war between CPC and KMT forces broke out on June 26. China then entered a state of civil war that lasted more than three years. By the end of the Second Sino-Japanese War, the power of the Communist Party grew considerably. Their main force grew to 1.2 million troops, backed with additional militia of 2 million, totalling 3.2 million troops. Their "Liberated Zone" in 1945 contained 19 base areas, including one-quarter of the country's territory and one-third of its population; this included many important towns and cities. Moreover, the Soviet Union turned over all of its captured Japanese weapons and a substantial amount of their own supplies to the Communists, who received Northeastern China from the Soviets as well. In March 1946, despite repeated requests from Chiang, the Soviet Red Army under the command of Marshal Rodion Malinovsky continued to delay pulling out of Manchuria, while Malinovsky secretly told the CPC forces to move in behind them, which led to full-scale war for the control of the Northeast. These favorable conditions also facilitated many changes inside the Communist leadership: the more radical hard-line faction who wanted full military bloodshed and warfare to take-over China finally gained the upper hand and defeated the careful opportunists. Prior to giving control to Communist leaders, on March 27 Soviet diplomats requested a joint venture of industrial development with the Nationalist Party in Manchuria. Although General Marshall stated that he knew of no evidence that the CPC was being supplied by the Soviet Union, the CPC was able to utilize a large number of weapons abandoned by the Japanese, including some tanks, but it was not until large numbers of well-trained KMT troops began surrendering and joining the Communist forces that the CPC was finally able to master the hardware. However, despite the disadvantage in military hardware, the CPC's ultimate trump card was its land reform policy. The CPC continued to make the irresistible promise in the countryside to the massive number of landless and starving peasants that by fighting for the CPC they would be given their own land to grow crops once the victory was won. This strategy enabled the CPC to access an almost unlimited supply of manpower for both combat and logistical purposes; despite suffering heavy casualties throughout many of the war's campaigns, man power continued to pour in massively. For example, during the Huaihai Campaign alone the CPC was able to mobilize 5,430,000 peasants to fight against the KMT forces. It was perfectly clear to us that if we told the Japanese to lay down their arms immediately and march to the seaboard, the entire country would be taken over by the Communists. We therefore had to take the unusual step of using the enemy as a garrison until we could airlift Chinese National troops to South China and send Marines to guard the seaports. Using the pretext of "receiving the Japanese surrender", business interests within the KMT government occupied most of the banks, factories and commercial properties, which had previously been seized by the Imperial Japanese Army. They also conscripted troops at an accelerated pace from the civilian population and hoarded supplies, preparing for a resumption of war with the Communists. 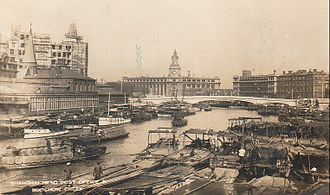 These hasty and harsh preparations caused great hardship for the residents of cities such as Shanghai, where the unemployment rate rose dramatically to 37.5%. The US strongly supported the Kuomintang forces. About 50,000 US soldiers were sent to guard strategic sites in Hupeh and Shandong. The US equipped and trained KMT troops, and transported Japanese and Koreans back to help KMT forces to occupy liberated zones as well as to contain Communist-controlled areas. According to William Blum, American aid included substantial amounts of mostly surplus military supplies, and loans were made to the KMT. Within less than two years after the Sino-Japanese War, the KMT had received $4.43 billion from the US—most of which was military aid. As postwar negotiations between the Nationalist government in Nanjing and the Communist Party failed, the civil war between these two parties resumed. This stage of war is referred to in mainland China and Communist historiography as the "War of Liberation" (Chinese: 解放战争; pinyin: Jiěfàng Zhànzhēng). On 20 July 1946, Chiang Kai-shek launched a large-scale assault on Communist territory in North China with 113 brigades (a total of 1.6 million troops). This marked the first stage of the final phase in the Chinese Civil War. Knowing their disadvantages in manpower and equipment, the CPC executed a "passive defense" strategy. It avoided the strong points of the KMT army and was prepared to abandon territory in order to preserve its forces. In most cases the surrounding countryside and small towns had come under Communist influence long before the cities. The CPC also attempted to wear out the KMT forces as much as possible. This tactic seemed to be successful; after a year, the power balance became more favorable to the CPC. They wiped out 1.12 million KMT troops, while their strength grew to about two million men. In March 1947 the KMT achieved a symbolic victory by seizing the CPC capital of Yan'an. The Communists counterattacked soon afterwards; on 30 June 1947 CPC troops crossed the Yellow River and moved to the Dabie Mountains area, restored and developed the Central Plain. At the same time, Communist forces also began to counterattack in Northeastern China, North China and East China. By late 1948, the CPC eventually captured the northern cities of Shenyang and Changchun and seized control of the Northeast after suffering numerous setbacks while trying to take the cities, with the decisive Liaoshen Campaign. The New 1st Army, regarded as the best KMT army, was forced to surrender after the CPC conducted a brutal six-month siege of Changchun that resulted in more than 150,000 civilian deaths from starvation. The capture of large KMT units provided the CPC with the tanks, heavy artillery and other combined-arms assets needed to execute offensive operations south of the Great Wall. By April 1948 the city of Luoyang fell, cutting the KMT army off from Xi'an. Following a fierce battle, the CPC captured Jinan and Shandong province on 24 September 1948. The Huaihai Campaign of late 1948 and early 1949 secured east-central China for the CPC. The outcome of these encounters were decisive for the military outcome of the civil war. The Pingjin Campaign resulted in the Communist conquest of northern China. It lasted 64 days, from 21 November 1948, to 31 January 1949. The PLA suffered heavy casualties while securing Zhangjiakou, Tianjin along with its port and garrison at Dagu and Beiping. The CPC brought 890,000 troops from the northeast to oppose some 600,000 KMT troops. There were 40,000 CPC casualties at Zhangjiakou alone. They in turn killed, wounded or captured some 520,000 KMT during the campaign. The Nationalists' retreat to Taipei: after the Nationalists lost Nanjing (Nanking) they next moved to Guangzhou (Canton), then to Chongqing (Chungking), Chengdu (Chengtu) and finally, Xichang (Sichang) before arriving in Taipei. After achieving decisive victory at Liaoshen, Huaihai and Pingjin campaigns, the CPC wiped out 144 regular and 29 irregular KMT divisions, including 1.54 million veteran KMT troops, which significantly reduced the strength of Nationalist forces. Stalin initially favored a coalition government in postwar China, and tried to persuade Mao to stop the CPC from crossing the Yangtze and attacking the KMT positions south of the river. Mao rejected Stalin's position and on 21 April, and began the Yangtze River Crossing Campaign. 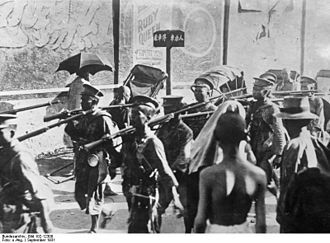 On 23 April they captured the KMT's capital, Nanjing. 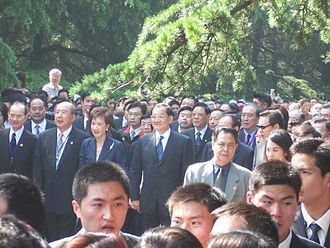 The KMT government retreated to Canton (Guangzhou) until October 15, Chongqing until November 25, and then Chengdu before retreating to Taiwan on December 10. 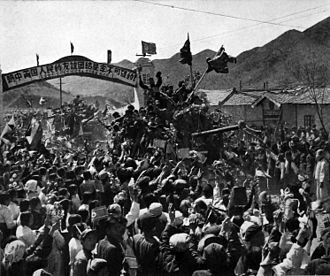 By late 1949 the People's Liberation Army was pursuing remnants of KMT forces southwards in southern China, and only Tibet was left. 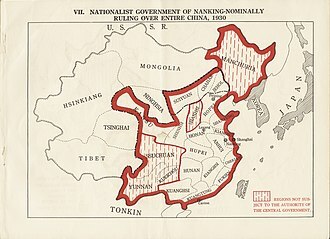 In addition, the Ili Rebellion was a Soviet-backed revolt by the Second East Turkestan Republic against the KMT from 1944–49, as the Mongolians in the People's Republic were in a border dispute with the Republic of China. A Chinese Muslim Hui cavalry regiment, the 14th Tungan Cavalry, was sent by the Chinese government to attack Mongol and Soviet positions along the border during the Pei-ta-shan Incident. The Kuomintang made several last-ditch attempts to use Khampa troops against the Communists in southwest China. The Kuomintang formulated a plan in which three Khampa divisions would be assisted by the Panchen Lama to oppose the Communists. Kuomintang intelligence reported that some Tibetan tusi chiefs and the Khampa Su Yonghe controlled 80,000 troops in Sichuan, Qinghai and Tibet. They hoped to use them against the Communist army. On 1 October 1949, Mao Zedong proclaimed the founding of the People's Republic of China with its capital at Beiping, which was returned to the former name Beijing. 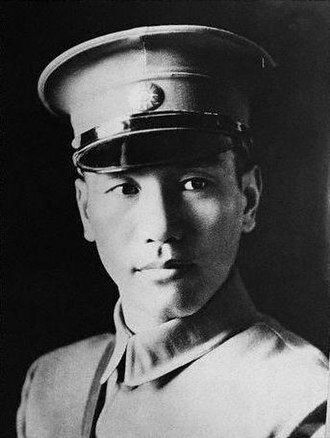 Chiang Kai-shek and approximately two million Nationalist soldiers retreated from mainland China to the island of Taiwan in December after the PLA advanced into the Sichuan province. 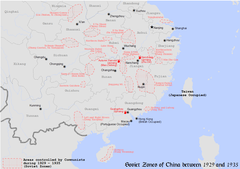 Isolated Nationalist pockets of resistance remained in the area, but the majority of the resistance collapsed after the fall of Chengdu on 10 December 1949, with some resistance continuing in the far south. A PRC attempt to take the ROC-controlled island of Quemoy was thwarted in the Battle of Kuningtou, halting the PLA advance towards Taiwan. In December 1949, Chiang proclaimed Taipei the temporary capital of the Republic of China and continued to assert his government as the sole legitimate authority in China. The Communists' other amphibious operations of 1950 were more successful: they led to the Communist conquest of Hainan Island in April 1950, capture of Wanshan Islands off the Guangdong coast (May–August 1950), Zhoushan Island off Zhejiang (May 1950). 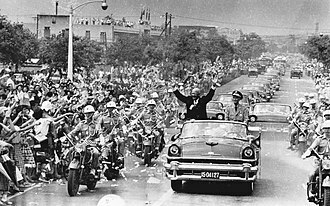 Most observers expected Chiang's government to eventually fall to the imminent invasion of Taiwan by the People's Liberation Army, and the US was initially reluctant in offering full support for Chiang in their final stand. US President Harry S. Truman announced on 5 January 1950 that the United States would not engage in any dispute involving the Taiwan Strait, and that he would not intervene in the event of an attack by the PRC. The situation quickly changed after the onset of the Korean War in June 1950. This led to changing political climate in the US, and President Truman ordered the United States Seventh Fleet to sail to the Taiwan Strait as part of the containment policy against potential Communist advance. In June 1949 the ROC declared a "closure" of all mainland China ports and its navy attempted to intercept all foreign ships. The closure was from a point north of the mouth of Min River in Fujian to the mouth of the Liao River in Liaoning. Since mainland China's railroad network was underdeveloped, north-south trade depended heavily on sea lanes. ROC naval activity also caused severe hardship for mainland China fishermen. After losing mainland China, a group of approximately 3,000 KMT Central soldiers retreated to Burma and continued launching guerrilla attacks into south China during the Kuomintang Islamic Insurgency in China (1950–1958) and Campaign at the China–Burma Border. Their leader, Gen. Li Mi, was paid a salary by the ROC government and given the nominal title of Governor of Yunnan. Initially, the US supported these remnants and the Central Intelligence Agency provided them with military aid. After the Burmese government appealed to the United Nations in 1953, the US began pressuring the ROC to withdraw its loyalists. By the end of 1954 nearly 6,000 soldiers had left Burma and General Li declared his army disbanded. However, thousands remained, and the ROC continued to supply and command them, even secretly supplying reinforcements at times to maintain a base close to China. After the ROC complained to the United Nations against the Soviet Union for violating the Sino-Soviet Treaty of Friendship and Alliance to support the CPC, the UN General Assembly Resolution 505 was adopted on 1 February 1952, condemning the Soviet Union. Though viewed as a military liability by the US, the ROC viewed its remaining islands in Fujian as vital for any future campaign to defeat the PRC and retake mainland China. On 3 September 1954, the First Taiwan Strait Crisis began when the PLA started shelling Kinmen and threatened to take the Dachen Islands in Zhejiang. On 20 January 1955, the PLA took nearby Yijiangshan Island, with the entire ROC garrison of 720 troops killed or wounded defending the island. On January 24 of the same year, the United States Congress passed the Formosa Resolution authorizing the President to defend the ROC's offshore islands. The First Taiwan Straits crisis ended in March 1955 when the PLA ceased its bombardment. The crisis was brought to a close during the Bandung conference. 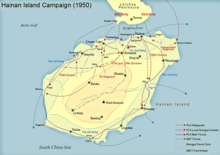 The Second Taiwan Strait Crisis began on 23 August 1958 with air and naval engagements between PRC and ROC forces, leading to intense artillery bombardment of Quemoy (by the PRC) and Amoy (by the ROC), and ended on November of the same year. PLA patrol boats blockaded the islands from ROC supply ships. 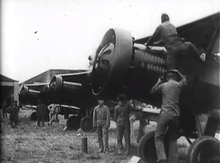 Though the US rejected Chiang Kai-shek's proposal to bomb mainland China artillery batteries, it quickly moved to supply fighter jets and anti-aircraft missiles to the ROC. It also provided amphibious assault ships to land supplies, as a sunken ROC naval vessel was blocking the harbor. On September 7 the US escorted a convoy of ROC supply ships and the PRC refrained from firing. The Third Taiwan Strait Crisis in 1995–96 escalated tensions between both sides when the PRC tested a series of missiles not far from Taiwan, although, arguably, Beijing ran the test to shift the 1996 presidential election vote in favor of the KMT, already facing a challenge from the opposition Democratic Progressive Party which did not agree with the "One China Policy" shared by the CPC and KMT. On 25 October 1971, the United Nations General Assembly admitted the PRC and expelled the ROC, which had been a founding member of the United Nations and was one of the five permanent members of the Security Council. Representatives of Chiang Kai-shek refused to recognise their accreditations as representatives of China and left the assembly. Recognition for the People's Republic of China soon followed from most other member nations, including the United States. By 1984 PRC and ROC began to de-escalate their diplomatic relations with each other, and cross-straits trade and investment has been growing ever since. The state of war was officially declared over by the ROC in 1991. Despite the end of the hostilities, the two sides have never signed any agreement or treaty to officially end the war. According to Mao Zedong, there were three ways of "staving off imperialist intervention in the short term" during the continuation of the Chinese Revolution. The first was through a rapid completion of the military takeover of the country, and through showing determination and strength against "foreign attempts at challenging the new regime along its borders". The second was by "formalising a comprehensive military alliance with the Soviet Union", which would dedicate Soviet power to directly defending China against its enemies; this aspect became extensively significant given the backdrop of the start of the Cold War. And finally the regime had to "root out its domestic opponents : the heads of secret societies, religious sects, independent unions, or tribal and ethnic organisations." By destroying the basis of domestic reaction, Mao believed a safer world for the Chinese revolution to spread in would come into existence. Under the new ROC president Lee Teng-hui, the Temporary Provisions Effective During the Period of Communist Rebellion was renounced in May 1991, thus ending the chances of the Kuomintang's conquest to retake the mainland. With the election in 2000 of Democratic Progressive Party candidate Chen Shui-bian, a party other than the KMT gained the presidency for the first time in Taiwan. The new president did not share the Chinese nationalist ideology of the KMT and CPC. This led to tension between the two sides, although trade and other ties such as the 2005 Pan-Blue visit continued to increase. With the election of President Ma Ying-jeou (KMT) in 2008, significant warming of relations resumed between Taipei and Beijing, with high-level exchanges between the semi-official diplomatic organizations of both states such as the Chen-Chiang summit series. Although the Taiwan straits remain a potential flash point, regular direct air links were established in 2009. Historian Odd Arne Westad says the Communists won the Civil War because they made fewer military mistakes than Chiang Kai-shek and also because in his search for a powerful centralized government, Chiang antagonized too many interest groups in China. Furthermore, his party was weakened in the war against the Japanese. Meanwhile, the Communists targeted different groups, such as peasants, and brought them to its corner. Chiang wrote in his diary in June 1948 that the KMT had failed not because of external enemies but because of rot from within. The USSR generally supported Chiang's forces. Stalin distrusted Mao, tried to block him from leadership as late as 1942, and worried that Mao would become an independent rival force in world communism. Strong American support for the Nationalists was hedged with the failure of the Marshall Mission, and then stopped completely mainly because of KMT corruption (such as the notorious Yangtze Development Corporation controlled by H.H. Kung and T. V. Soong's family) and KMT's military setback in Northeast China. Communist land reform policy promised poor peasants farmland from their landlords, ensuring popular support for the PLA. The main advantage of the Chinese Communist Party was the "extraordinary cohesion" within the top level of its leadership. These skills were not only secured from defections that came about during difficult times but also coupled with "communications and top level debates over tactics". A big addition to this was the charismatic style of leadership of Mao Zedong which created a "unity of purpose" and a "unity of command" which the KMT lacked majorly. Apart from that the CPC had mastered the manipulation of local politics to their benefit; this was also derived from their propaganda skills that had also been decentralised successfully. By "portraying their opponents as enemies of all groups of Chinese" and itself as "defenders of the nation" and people (given the backdrop of the war with Japan). In the Chinese Civil War after 1945, the economy in the ROC areas collapsed because of hyperinflation and the failure of price controls by the ROC government and financial reforms; the Gold Yuan devaluated sharply in late 1948 and resulted in the ROC government losing the support of the cities' middle classes. In the meantime, the Communists continued their relentless land reform (land redistribution) programs to win the support of the population in the countryside. Conflicts in the Chinese Civil War in the post-World War II era are listed chronologically by the starting dates. ^ The conflict did not have an official end date. However, historians generally agree that the war subsided after the People's Republic of China took the Mosquito Tail Islet, the last island held by the Republic of China in the Wanshan Archipelago. ^ a b c China at War: An Encyclopedia. 2012. p. 295. ^ Westad, Odd (2003). Decisive Encounters: The Chinese Civil War, 1946–1950. Stanford University Press. p. 305. ISBN 978-0-8047-4484-3. ^ a b c Hsiung, James C. (1992). China's Bitter Victory: The War With Japan, 1937–1945. New York: M.E. Sharpe publishing. ISBN 1-56324-246-X. ^ a b c Lynch, Michael (2010). 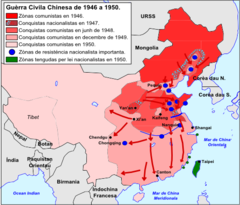 The Chinese Civil War 1945–49. Osprey Publishing. p. 91. ISBN 978-1-84176-671-3. ^ Leslie C. Green. The Contemporary Law of Armed Conflict. p. 79. ^ a b c So, Alvin Y. Lin, Nan. Poston, Dudley L. Contributor Professor, So, Alvin Y. (2001). The Chinese Triangle of Mainland China, Taiwan and Hong Kong. Greenwood Publishing.ISBN 0-313-30869-1. ^ a b c March, G. Patrick. Eastern Destiny: Russia in Asia and the North Pacific. (1996). Greenwood Publishing Group. ISBN 0-275-95566-4. pg 205. ^ Ho, Alfred K. Ho, Alfred Kuo-liang. (2004). China's Reforms and Reformers. Greenwood Publishing Group. ISBN 0-275-96080-3. pg 7. ^ a b c Fairbank, John King. (1994). China: A New History. Harvard University Press. ISBN 0-674-11673-9. ^ Kuhn, Robert (2005). The man who changed China: the life and legacy of Jiang Zemin. Crown Publishers. ^ Zedong, Mao. Thompson, Roger R.  (1990). Report from Xunwu. Stanford University Press. ISBN 0-8047-2182-3. ^ Brune, Lester H. Dean Burns, Richard Dean Burns. (2003). Chronological History of U.S. Foreign Relations. Routledge. ISBN 0-415-93914-3. ^ Zhao, Suisheng. (2004). A Nation-state by Construction: Dynamics of Modern Chinese Nationalism. Stanford University Press. ISBN 0-8047-5001-7. ^ Guo, Xuezhi. (2002). The Ideal Chinese Political Leader: A Historical and Cultural Perspective. Greenwood Publishing Group. ISBN 0-275-97259-3. ^ Theodore De Bary, William. Bloom, Irene. Chan, Wing-tsit. Adler, Joseph. Lufrano Richard. Lufrano, John. (1999). Sources of Chinese Tradition. Columbia University Press. ISBN 0-231-10938-5. pg 328. ^ a b c Lee, Lai to. Trade Unions in China: 1949 To the Present. (1986). National University of Singapore Press. ISBN 9971-69-093-4. ^ Blasko, Dennis J. (2006). The Chinese Army Today: Tradition and Transformation for the 21st Century. Routledge. ISBN 0-415-77003-3. ^ Esherick, Joseph. (2000). Remaking the Chinese City: Modernity and National Identity, 1900–1950. University of Hawaii Press. ISBN 0-8248-2518-7. ^ Clark, Anne, Klein, Donald. eds. (1971). Biographic Dictionary of Chinese Communism (Harvard University Press), p 134. ^ Lynch, Michael Lynch. Clausen, Søren. (2003). Mao. Routledge. ISBN 0-415-21577-3. ^ a b Ye, Zhaoyan Ye, Berry, Michael. (2003). Nanjing 1937: A Love Story. Columbia University Press. ISBN 0-231-12754-5. ^ a b c Buss, Claude Albert. (1972). Stanford Alumni Association. The People's Republic of China and Richard Nixon. United States. ^ a b Schoppa, R. Keith. (2000). The Columbia Guide to Modern Chinese History. Columbia University Press. ISBN 0-231-11276-9. ^ Chen, Jian. (2001). Mao's China and the Cold War. The University of North Carolina Press. ISBN 0-807-84932-4. ^ Lary, Diana. (2007). China's Republic. Cambridge University Press. ISBN 0-521-84256-5. ^ a b Zarrow, Peter Gue. (2005). China in War and Revolution, 1895–1949. Routledge. ISBN 0-415-36447-7. pg 338. ^ a b Xu, Guangqiu. (2001). War Wings: The United States and Chinese Military Aviation, 1929–1949. Greenwood Publishing Group. ISBN 0-313-32004-7. pg 201. ^ Bright, Richard Carl. (2007). Pain and Purpose in the Pacific: True Reports of War. Trafford Publishing. ISBN 1-4251-2544-1. ^ Hu, Jubin. (2003). Projecting a Nation: Chinese National Cinema Before 1949. Hong Kong University Press. ISBN 962-209-610-7. ^ a b c d e f g h i j Nguyễn Anh Thái (chief author); Nguyễn Quốc Hùng; Vũ Ngọc Oanh; Trần Thị Vinh; Đặng Thanh Toán; Đỗ Thanh Bình (2002). Lịch sử thế giới hiện đại (in Vietnamese). Ho Chi Minh City: Giáo Dục Publisher. pp. 320–322. 8934980082317. ^ Liu, Shiao Tang (1978). Min Kuo Ta Shih Jih Chih. 2. Taipei: Zhuan Chi Wen Shuan. p. 735. ^ New York Times, 12 January 1947, p44. ^ p23, U.S. Military and CIA Interventions Since World War II, William Blum, Zed Books 2004 London. ^ Lilley, James R. China Hands: Nine Decades of Adventure, Espionage, and Diplomacy in Asia. ISBN 1-58648-136-3. ^ a b c Westad, Odd Arne. (2003). Decisive Encounters: The Chinese Civil War, 1946–1950. Stanford University Press. ISBN 0-8047-4484-X. p 192-193. ^ a b Elleman, Bruce A. Modern Chinese Warfare, 1795–1989. Routledge. ISBN 0-415-21473-4. ^ a b c Finkelstein, David Michael. Ryan, Mark A. McDevitt, Michael. (2003). Chinese Warfighting: The PLA Experience Since 1949. M.E. Sharpe. China. ISBN 0-7656-1088-4. p. 63. 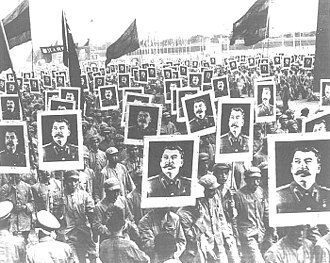 ^ Donggil Kim, "Stalin and the Chinese Civil War." 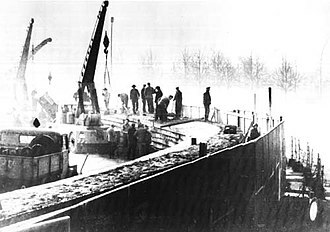 Cold War History 10.2 (2010): 185-202. ^ Andrew D. W. Forbes (1986). Warlords and Muslims in Chinese Central Asia: a political history of Republican Sinkiang 1911–1949. Cambridge, England: CUP Archive. p. 215. ISBN 0-521-25514-7. Retrieved 2010-06-28. ^ Andrew D. W. Forbes (1986). Warlords and Muslims in Chinese Central Asia: a political history of Republican Sinkiang 1911–1949. Cambridge, England: CUP Archive. p. 225. ISBN 0-521-25514-7. Retrieved 2010-06-28. ^ Hsiao-ting Lin (2010). Modern China's ethnic frontiers: a journey to the west. Volume 67 of Routledge studies in the modern history of Asia (illustrated ed.). Taylor & Francis. p. 117. ISBN 0-415-58264-4. Retrieved 2011-12-27. China's far northwest.23 A simultaneous proposal suggested that, with the support of the new Panchen Lama and his entourage, at least three army divisions of anti-Communist Khampa Tibetans could be mustered in southwest China. ^ Hsiao-ting Lin (2010). Modern China's ethnic frontiers: a journey to the west. Volume 67 of Routledge studies in the modern history of Asia (illustrated ed.). Taylor & Francis. p. xxi. ISBN 0-415-58264-4. Retrieved 2011-12-27. (tusi) from the Sichuan-Qinghai border; and Su Yonghe, a Khampa native-chieftain from Nagchuka on the Qinghai- Tibetan border. According to Nationalist intelligence reports, these leaders altogether commanded about 80000 irregulars. ^ Cook, Chris Cook. Stevenson, John. (2005). The Routledge Companion to World History Since 1914. Routledge. ISBN 0-415-34584-7. p. 376. 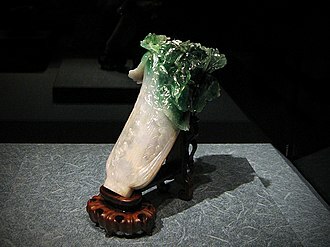 ^ Qi, Bangyuan. Wang, Dewei. Wang, David Der-wei. (2003). The Last of the Whampoa Breed: Stories of the Chinese Diaspora. Columbia University Press. ISBN 0-231-13002-3. p. 2. ^ MacFarquhar, Roderick. Fairbank, John K. Twitchett, Denis C.  (1991). The Cambridge History of China. Cambridge University Press. ISBN 0-521-24337-8. p. 820. ^ "Harry S Truman, "Statement on Formosa," January 5, 1950". University of Southern California. Retrieved 2017-05-07. ^ Alison Behnke (1 January 2007). Taiwan in Pictures. Twenty-First Century Books. ISBN 978-0-8225-7148-3. ^ Network, The Learning (2011-10-25). "Oct. 25, 1971 | People's Republic of China In, Taiwan Out, at U.N." The Learning Network. Retrieved 2018-05-20. ^ "Taiwan flashpoint". BBC News. Retrieved 20 October 2017. ^ Decisive Encounters By Westad, Odd Arne. Stanford University Press, 21 Mar. pp 292-297 2003 (Google Books). ^ Odd Arne Westad, Restless Empire: China and the World Since 1750 (2012) p 291. ^ Helen Rappaport (1999). Joseph Stalin: A Biographical Companion. ABC-CLIO. p. 36. ^ Sun, Tung-hsun (1982). "Some Recent American Interpretations of Sino-American Relations of the Late 1940's: An Assessment" (PDF). Institute of European and American Studies, Academia Sinica. Retrieved 2018-11-22. ^ "轉載：　杜月笙的1931 （6） - 五湖煙景的日誌 - 倍可親". big5.backchina.com (in Chinese). Retrieved 2018-11-23. ^ Decisive Encounters By Westad, Odd Arne. Stanford University Press, 2003 (Google Books). Wikimedia Commons has media related to Chinese Civil War. The Kuomintang of China is a major political party in the Republic of China. It is currently the second-largest in the country, the predecessor of the KMT, the Revolutionary Alliance, was one of the major advocates of the overthrow of the Qing Dynasty and the establishment of a republic. The KMT was founded by Song Jiaoren and Sun Yat-sen shortly after the Xinhai Revolution of 1911, Sun was the provisional president but he did not have military power and ceded the first presidency to the military leader Yuan Shikai. After Yuans death, China was divided by warlords, while the KMT was able to only part of the south. Later led by Chiang Kai-shek, the KMT formed the National Revolutionary Army and it was the ruling party in mainland China from 1928 until its retreat to Taiwan in 1949 after being defeated by the Communist Party of China during the Chinese Civil War. In Taiwan, the KMT continued as the ruling party until the reforms in the late 1970s through the 1990s loosened its grip on power. Since 1987, the Republic of China is no longer a single-party state, the KMT is currently the main opposition party in the Legislative Yuan. 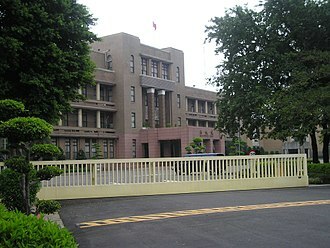 The guiding ideology is the Three Principles of the People, advocated by Sun Yat-sen and its party headquarters are located in Taipei. The KMT is a member of the International Democrat Union, the previous president, Ma Ying-jeou, elected in 2008 and re-elected in 2012, was the seventh KMT member to hold the office of the presidency. 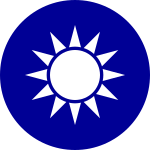 Together with the People First Party and New Party, the KMT forms what is known as the Taiwanese Pan-Blue Coalition, the KMT has been forced to moderate its stance by advocating the political and legal status quo of modern Taiwan. 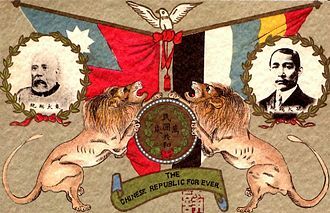 However, since 2008, in order to ease tensions with the PRC, the group planned and supported the Xinhai Revolution of 1911 and the founding of the Republic of China on 1 January 1912. However, Sun did not have power and ceded the provisional presidency of the republic to Yuan Shikai. On 25 August 1912, the Nationalist Party was established at the Huguang Guild Hall in Peking, the then-President of the ROC, was chosen as the party chairman with Huang Xing as his deputy. His Marxist–Leninist theories, military strategies, and political policies are collectively known as Maoism or Marxism-Leninism-Maoism. Mao adopted Marxism–Leninism while working at Peking University and became a member of the Communist Party of China. On October 1,1949, Mao proclaimed the foundation of the Peoples Republic of China, in the following years Mao solidified his control through land reform campaigns against landlords, and perceived enemies of the state he termed as counter-revolutionaries. In 1957, he launched the Great Leap Forward campaign that aimed to rapidly transform Chinas economy from an economy to an industrial one. The campaign contributed to a famine, whose death toll is estimated at between 15 and 45 million. In 1972, Mao welcomed American President Richard Nixon in Beijing, signalling a policy of opening China, Mao suffered a series of heart attacks in 1976, and died in September, aged 82. He was succeeded as Paramount leader by Hua Guofeng, who was sidelined and replaced by Deng. A controversial figure, Mao is regarded as one of the most important individuals in modern world history, Mao Zedong was born on December 26,1893 in Shaoshan village, Hunan Province, China. His father, Mao Yichang, was an impoverished peasant who had become one of the wealthiest farmers in Shaoshan. Growing up in rural Hunan, Mao Zedong described his father as a stern disciplinarian, Maos mother, Wen Qimei, was a devout Buddhist who tried to temper her husbands strict attitude. Zedong too became a Buddhist, but abandoned this faith in his mid-teenage years, at age 8, Mao was sent to Shaoshan Primary School. At age 13, Mao finished primary education, and his father united him in a marriage to the 17-year-old Luo Yigu. Mao refused to recognise her as his wife, becoming a critic of arranged marriage. Luo was locally disgraced and died in 1910, interested in history, Mao was inspired by the military prowess and nationalistic fervour of George Washington and Napoleon Bonaparte. 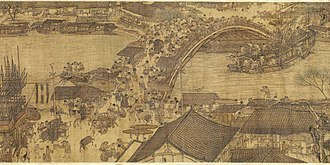 The famine spread to Shaoshan, where starving peasants seized his fathers grain and he disapproved of their actions as morally wrong, but claimed sympathy for their situation. 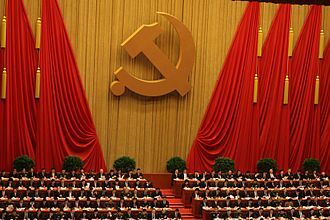 The Communist Party of China is the founding and ruling political party of the Peoples Republic of China. It was founded in 1921, chiefly by Chen Duxiu and Li Dazhao, the CPC is currently the worlds second largest political party with a membership of 88.76 million as of 2016. It controls the worlds largest armed force, the Peoples Liberation Army, the highest body of the CPC is the National Congress, convened every fifth year. The partys leader holds the offices of General Secretary, Chairman of the Central Military Commission, through these posts the party leader is the countrys paramount leader. The current party leader is Xi Jinping, elected at the 18th National Congress, the CPC is still committed to communist thought and continues to participate in the International Meeting of Communist and Workers Parties each year. The official explanation for Chinas economic reforms is that the country is in the stage of socialism. The planned economy established under Mao Zedong was replaced by the socialist market economy, the CPC has its origins in the May Fourth Movement of 1919, during which radical ideologies like Marxism and anarchism gained traction among Chinese intellectuals. Other influences stemming from the Bolshevik revolution and Marxist theory inspired the Communist Party of China, Li Dazhao was the first leading Chinese intellectual who publicly supported Leninism and world revolution. In contrast to Chen Duxiu, Li did not renounce participation in the affairs of the Republic of China, both of them regarded the October Revolution in Russia as groundbreaking, believing it to herald a new era for oppressed countries everywhere. The CPC was modeled on Vladimir Lenins theory of a vanguard party, Study circles were, according to Cai Hesen, the rudiments. 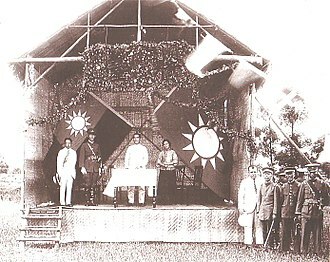 Several study circles were established during the New Culture Movement, the founding National Congress of the CPC was held on 23–31 July 1921. 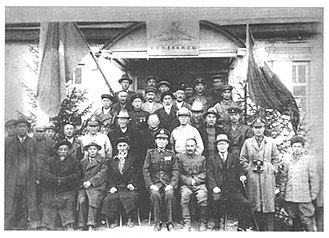 With only 50 members in the beginning of 1921, the CPC organization, while it was originally planned to be held in Shanghai French Concession, police officers interrupted the meeting on 3 July. Because of that, the congress was moved to a tourist boat on South Lake in Jiaxing, Zhejiang province, only 12 delegates attended the congress, with neither Li nor Chen being able to attend. Weimar Republic is an unofficial, historical designation for the German state between 1919 and 1933. The name derives from the city of Weimar, where its constitutional assembly first took place, the official name of the state was still Deutsches Reich, it had remained unchanged since 1871. In English the country was known simply as Germany. A national assembly was convened in Weimar, where a new constitution for the Deutsches Reich was written, in its fourteen years, the Weimar Republic faced numerous problems, including hyperinflation, political extremism, and contentious relationships with the victors of the First World War. 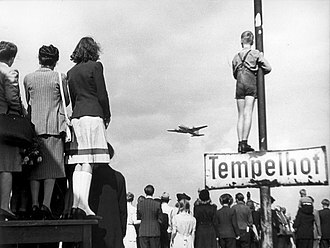 The people of Germany blamed the Weimar Republic rather than their leaders for the countrys defeat. 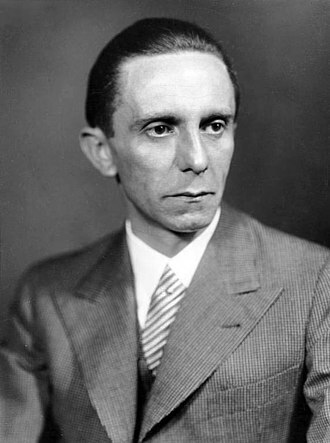 However, the Weimar Republic government successfully reformed the currency, unified tax policies, Weimar Germany eliminated most of the requirements of the Treaty of Versailles, it never completely met its disarmament requirements, and eventually paid only a small portion of the war reparations. Under the Locarno Treaties, Germany accepted the borders of the republic. From 1930 onwards President Hindenburg used emergency powers to back Chancellors Heinrich Brüning, Franz von Papen, the Great Depression, exacerbated by Brünings policy of deflation, led to a surge in unemployment. In 1933, Hindenburg appointed Adolf Hitler as Chancellor with the Nazi Party being part of a coalition government, the Nazis held two out of the remaining ten cabinet seats. Von Papen as Vice Chancellor was intended to be the éminence grise who would keep Hitler under control, within months the Reichstag Fire Decree and the Enabling Act of 1933 had brought about a state of emergency, it wiped out constitutional governance and civil liberties. 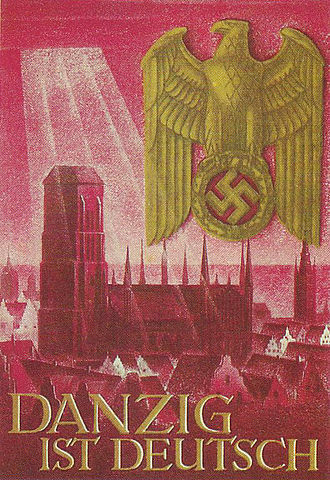 Hitlers seizure of power was permissive of government by decree without legislative participation and these events brought the republic to an end, as democracy collapsed, a single-party state founded the Nazi era. The Weimar Republic is so called because the assembly that adopted its constitution met at Weimar, Germany from 6 February 1919 to 11 August 1919, but this name only became mainstream after 1933. Hainan is the smallest and southernmost province of the Peoples Republic of China, consisting of various islands in the South China Sea. Hainan Island, separated from Guangdongs Leizhou Peninsula by the Qiongzhou Strait, is the largest island under PRC control and makes up the majority of the province. The province has an area of 33,920 square kilometers, with Hainan Island making up 32,900 square kilometers, there are a total of ten major cities and ten counties in Hainan Province. Haikou on the northern coast of Hainan Island is the capital while Sanya is a well-known tourist destination on the southern coast, the other major cities are Wenchang, Wanning, Wuzhishan and Danzhou. Chinas controversial claims in the South China Sea, including the Nansha and Xisha Islands, are administered as part of the province. The provincial name derives from its island, which is named for its position south of the Qiongzhou Strait. Former names for Hainan Island include Zhuya and Qiongzhou, the two gave rise to the provincial abbreviation 瓊 or 琼.
Hainan Island first entered history in 110 BC, when the Han dynasty of China established a military garrison there following the arrival of General Lu Bode. In 46 BC the Han court decided that the conquest was too expensive, around that time, Han Chinese people together with military personnel and officials began to migrate to Hainan Island from the mainland. Among them were the offspring of those who were banished to Hainan for political reasons, most of them arrived in Hainan Island from the southern Chinese provinces of Guangdong and Guangxi. Li people are the inhabitants of Hainan. They are believed to be the descendants of the ancient tribes from the mainland, some others live elsewhere on Hainan with other ethnic groups in Danzhou, Qionghai and Tunchang. The area inhabited by the Li ethnic group totals 18,700 square kilometers, during the Three Kingdoms Period, Hainan was the Zhuya Commandery under the control of Eastern Wu. At the time of the Song dynasty, Hainan became part of Guangxi, under the Mongol Empire the island became an independent province in 1370 was placed under the administration of Guangdong by the ruling Ming dynasty. 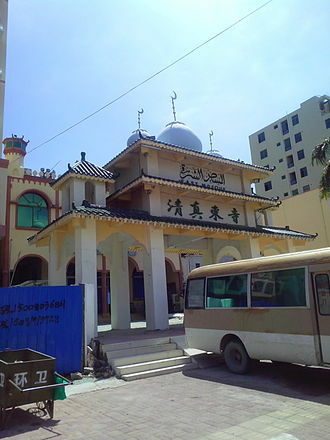 According to a 2011 census, China is home to approximately 10.5 million Hui people, the majority of whom are Chinese-speaking practitioners of Islam, though some may practice other religions. Hui people are ethnically and linguistically similar to Han Chinese with the exception that most of them practice Islam, engendering distinctive cultural characteristics. 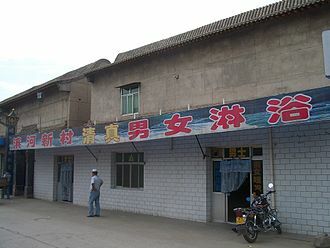 For example, as Muslims, they follow Islamic dietary laws and reject the consumption of pork, the most common meat consumed in China, the Hui people are one of 56 ethnic groups recognized by China. The government defines the Hui people to include all historically Muslim communities not included in Chinas other ethnic groups, the Hui predominantly speak Chinese, while maintaining some Persian and Arabic phrases. In fact, the Hui ethnic group is unique among Chinese ethnic minorities in that it associates with non-Sinitic languages. The Hui people are concentrated in Northwestern China, but communities exist across the country, e. g. Beijing, Inner Mongolia, Hainan. 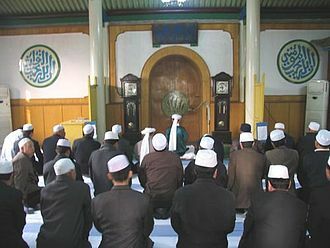 After the establishment of the Peoples Republic, the term Hui applied to one of Chinas ten historically Islamic minorities, earlier the term referred to Chinese-speaking groups with Muslim ancestry. Practising Islam was not a criterion, use of the Hui category to describe foreign Muslims moving into China dates back to the Song dynasty. 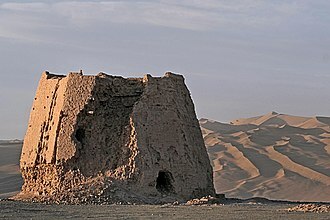 Hui people are of varied ancestry, many directly descending from Silk Road travelers and their ancestors include Central Asians and Persians who married Hans. West Eurasian DNA is prevalent—6. 7% of Hui peoples maternal genetics have a West Eurasian origin, in subsequent centuries, they gradually mixed with Mongols and Hans, eventually forming the Hui. Nonetheless, included among Huis in Chinese census statistics are members of a few small non-Chinese speaking communities, a small Muslim minority among Yunnans Bai people are classified as Hui as well, as are some groups of Tibetan Muslims. Huihui was the generic term for Chinas Muslims during the Ming and Qing Dynasties. In the early years, military conflicts continued, while diplomatically both governments competed to be the legitimate government of China. More recently, questions around the political and legal status of Taiwan have focused on the prospects of political unification with China or full Taiwanese independence. 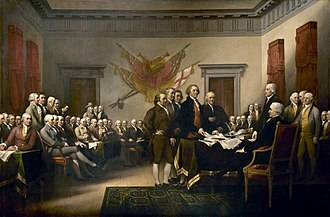 The Peoples Republic remains hostile to any declaration of independence. At the same time, non-governmental and semi-governmental exchanges between the two sides have been increasing, from 2008, negotiations began to restore the three links between the two sides, cut off since 1949. Party-to-party talks between the CPC and the KMT have resumed and semi-official negotiations through organizations representing the interests of their governments are being scheduled. Leaders of the two states The early history of cross-Strait relations involved the exchange of cultures, however, no Chinese dynasty formally incorporated Taiwan in ancient times. 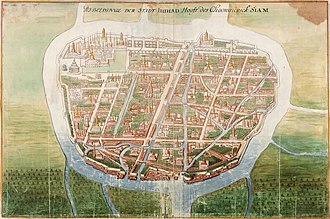 In the 16th and 17th centuries, Taiwan caught the attention of first Portuguese, Dutch, in 1624, the Dutch established their first settlement in Taiwan. In 1662, Koxinga, a Ming Dynasty loyalist, defeated the Dutch rulers of Taiwan, koxingas heirs used Taiwan as a base for launching raids into mainland China against the Manchu Qing Dynasty. However, they were defeated in 1683 by Qing forces, the following year, Taiwan was incorporated into Fujian province. Over the next two centuries, the Imperial government paid little attention to Taiwan, the situation changed in the 19th century, with other powers increasingly eyeing Taiwan for its strategic location and resources. In response, the administration began to implement a modernization drive, in 1887, Fujian-Taiwan Province was declared by Imperial decree. Within 10 years, Taiwan had become one of the most modern provinces in the Empire. However, the fall of the Qing outpaced the development of Taiwan, and in 1895, following its defeat in the First Sino-Japanese War, Qing loyalists briefly resisted the Japanese rule under the banner of the Republic of Taiwan, but order was quickly established by Japanese authorities. Su Yu, second from the left, was surveying the battlefield before the Menglianggu Campaign started in 1947. A scene of the Qing campaign against the Miao people in 1795. This Heinkel He 111 A, one of 11 bought by the Aviation Ministry, later found its way to the CNAC. The ROC Navy's indigenous AOE-530 "Wu-yi"
Chinese troops gathered on a T-34/85 or a Type 58 medium tank leaving North Korea in 1958, 5 years after the Korean War ended with an armistice (a ceasefire) in 1953. The banner in the background of the picture bears a slogan (in Chinese) which declares "The Friendship And Unity Of The North Korean And Chinese Peoples Are Always Steadfast And Strong!" Vintage Chinese propaganda poster, showing the PLA. The caption reads, "The People's Army is invincible". The pilot (on top) holds a flagstaff and a copy of Selected Works of Chairman Mao Zedong. Coalition government representatives in 1946 including Chairman Zhang Zhizhong (front row 5th from right) and Vice-chairman Ehmetjan Qasimi (front row 4th from right). 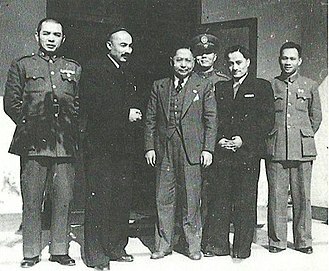 Ehmetjan Qasimi and Abdulkerim Abbas with Chiang Kai-shek in Nanjing on November 22, 1946. 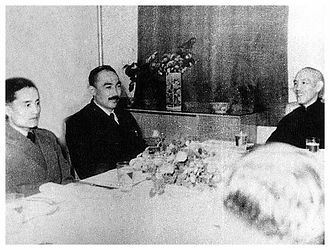 Ehmetjan Qasimi and Abdulkerim Abbas with Sun Fo, the son of Sun Yat-sen in Nanjing on November 24, 1946. Chinese generals pay tribute to the Sun Yat-sen Mausoleum in Beijing in 1928 after the success of the Northern Expedition. 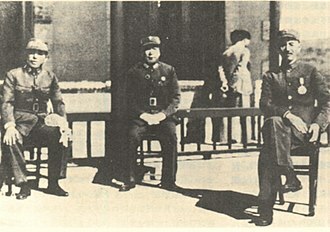 From right to left, are Gen. Cheng Jin, Gen. Zhang Zuobao, Gen. Chen Diaoyuan, Gen. Chiang Kai-shek, Gen. Woo Tsin-hang, Gen. Yan Xishan, Gen. Ma Fuxiang, Gen. Ma Sida and Gen. Bai Chongxi. 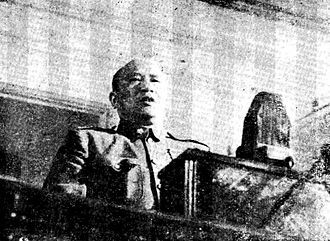 Bai Chongxi as the 1st Minister of National Defense of the Republic of China after the 1947 Constitution. Bai Chongxi in Taiwan after the February 28 Incident. Li Zongren on the cover of The Young Companion after his victory at Taierzhuang. Former residence of Li Zongren in Nanjing. Li Zongren posing after the successful defense of Tai'erzhuang. The location of Nanchang uprising.